When it comes to hardware, Apple isn’t afraid to force its users to adapt, to change habits. Longtime Mac users remember when Apple stopped including floppy and optical drives, or when FireWire was discontinued. 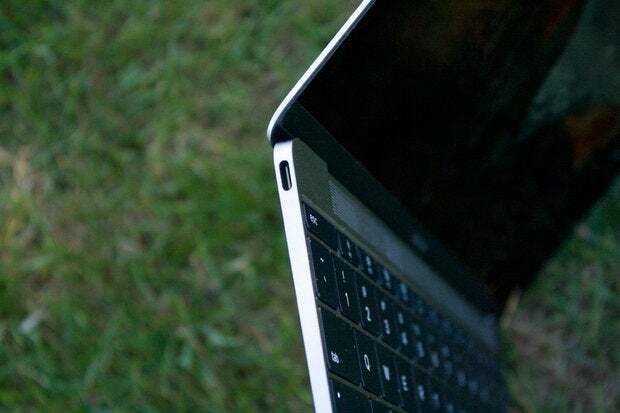 More recently, Mac users have had to accept the inability to upgrade hard drives and RAM, or that the Magic Trackpad 2 is the preferred input device, with its support for gestures that can’t be performed on a Magic Mouse 2. The MacBook (available in the Apple Store) is one of those game-changers. 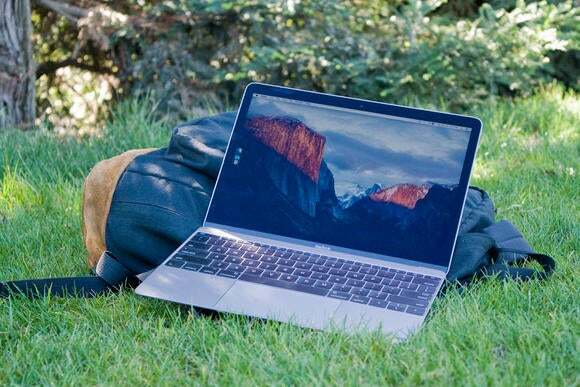 When it was released last year, it was pretty obvious that Apple wanted to push its users in a certain direction, to a place where there are no wires, where you depend on the cloud, where you can carry a laptop effortlessly and never worry about the battery running out. 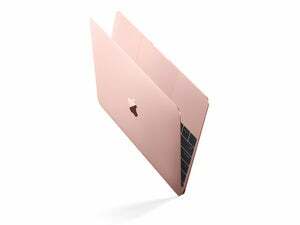 Everything on the outside of the MacBook is the same as before, so I won’t dive into my thoughts on things like its size, weight, and construction; the 12-inch, 2304x1440 Retina display; the Force Trackpad; or the keyboard. For more details about these parts, see our review of the 2015 MacBook by Jason Snell. His thoughts still hold up and jibe with my thoughts, though maybe I dislike the keyboard more. How much of a speed improvement does the 2016 MacBook offer over last’s year’s version? Using Geekbench 3, the 1.2GHz Core m5 offers an increase ranging from 11 to 30 percent, depending on the older processor that it is being compared to. 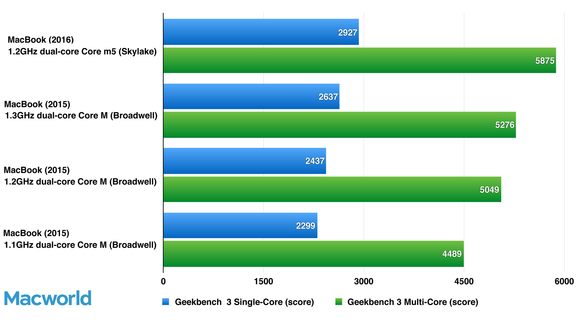 For example, in Geekbench’s 64-bit multi-core test, the 1.2GHz Core m5 is 11 percent faster than the 1.3GHz dual-core Core M processor that was an upgrade option for the 2015 MacBook. Another example: In the same test, the 1.2GHz Core m5 is 30 percent faster than the 2015 MacBook’s 1.1GHz Core M processor. Generally speaking, the speed increase isn’t unusual; we’ve seen similar increases in past Mac laptop upgrades. Faster is always better. What about the MacBook Air? I think some people still think of the MacBook Air as the ultra-portable laptop; after all, that’s how it was positioned when it was released. Longtime users even remember the previous MacBook line, which was positioned as the affordable laptop. But the MacBook is now the ultra-portable. The MacBook Air is Apple’s affordable laptop, à la the Mac mini. And I wouldn’t be surprised if it was treated like the Mac mini, with an update cycle that’s much longer than other Macs. 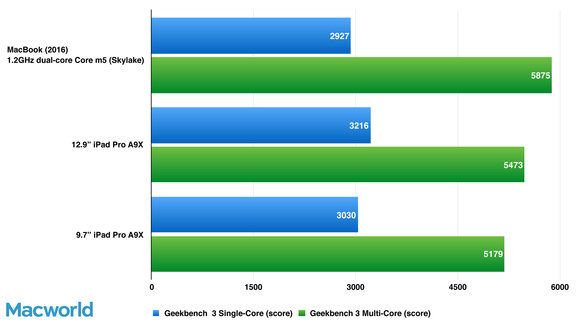 In Geekbench testing, the iPad Pro doesn’t disappoint against the MacBook. So what it comes down to is iOS versus OS X and the apps. Can you do what you need to do within iOS? That requires a close examination of the software you use and the tasks you perform. 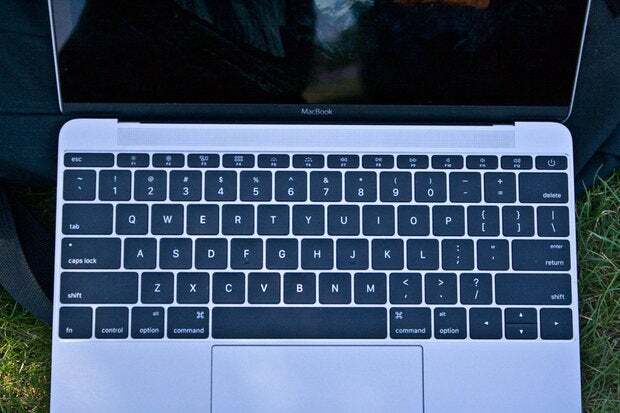 If what you want is the MacBook Pro feature set in a MacBook body, you’ll need to either wait and see what Apple does in the near future or bite the bullet and buy a MacBook Pro. If you want more ports but at an affordable price, the MacBook Air is your laptop and you’ll have to accept its compromises. The MacBook is for the user who values portability over anything else. The 2016 edition comes with a welcomed speed boost and a Rose Gold option.